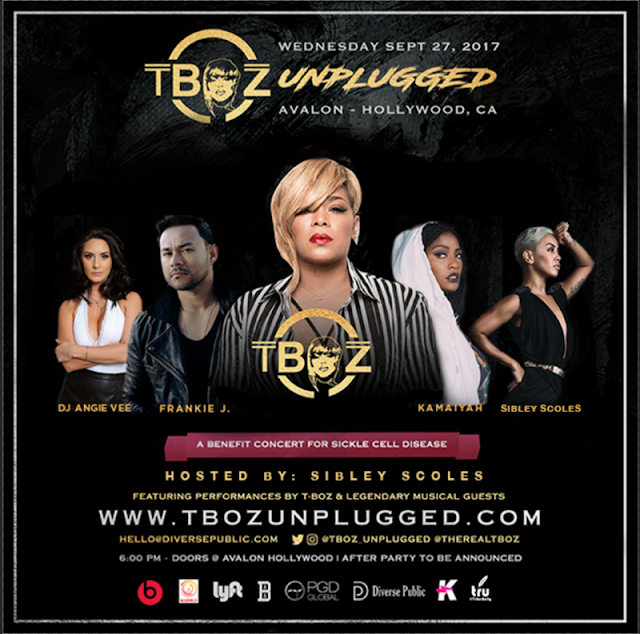 T-Boz will grace the stage with a special performance for the 4th Annual T-Boz Unplugged Concert in support of Sickle Cell Disease, Wednesday September 27, 2017 6pm at Avalon, Hollywood CA. The concert is a thriving passion of Tionne “T-Boz” Watkins, lead singer of the multiplatinum super girl group TLC, in support of The Sickle Cell Group of Atlanta. 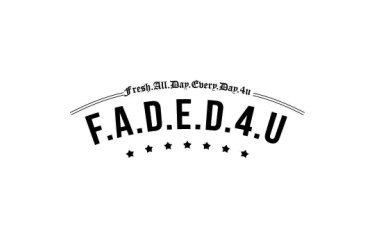 Concert line up includes RnB songstress Faith Evans, RnB/Pop latin artist Frankie J, Kamaiyah and Dominae with DJ Angie Vee. Hosted by Sibley Scoles; more special musical guests and celebrities will be announced as this benefit concert unveils. “Going into our fourth year, I continue to be blessed with the support from my musical friends and the continued opportunity to speak openly about my condition living with sickle cell disease. With the support of my fans, we make a difference and celebrating life together,” Being a voice for sickle cell disease is a responsibility and I’m so grateful that Faith, Frankie J, Kamaiyah and Angie Vee are helping me strengthen my voice.” says Watkins. Tionne Watkins known as T-Boz, is an American-born singer, songwriter, model, dancer, actress, author, and executive producer. At the age of 7, Watkins was diagnosed with sickle cell disease and continues to receive treatment due to her condition. A true talent and fighter she was the lead singer of the 5-Time Grammy Award Winning R&B/Hip Hop girl group TLC. The group became a global phenomenon and remains one of the most successful girl groups in history with over 65 million records sold worldwide. T-Boz went public with her struggle with sickle cell anemia in 1996. In 2002, she was hospitalized for four months due to a flare-up of sickle-cell anemia. Watkins’ faith in God and her optimism have helped her stay free from the more serious effects of sickle-cell disease.